ShaneFarley – Bio, Net Worth, Is He Dating Anyone, If Married, Who is The Wife? Shane Farley – Bio, Net Worth, Is He Dating Anyone, If Married, Who is The Wife? Shane Farley is an award-winning Hollywood producer. He has produced several popular talk shows as well as a few movies. One of his well-known projects is The Rachael Ray Show. It is a talk/cooking show hosted by renowned chef, Rachel Ray. The show ran for five years (2006 to 2011) during which it won numerous awards including two Emmys. Apart from the Rachael Ray Show, Farley has also produced the Steve Harvey daytime talk show. Find out more about Farley here including his bio, net worth as well as his relationship with celebrity chef, Giada De Laurentiis. Shane Farley was born in the year 1972. His exact date of birth is not available. There is also a paucity of information with regard to his family background or educational history. However one can safely assume that Farley is well educated. Shane Farley commenced his professional career in the 90s. His earliest production credit is the Keenan Ivory Wayans Show, a talk show which he produced between 197 and 1998. Farley’s next production gig came in 1998 on The Magic Hour. This was a talk show hosted by NBA legend, Magic Johnson. Even though the show lasted for just a year, it helped Farley to gather the experience that would serve him well in his career. Since The Magic Hour, Shane Farley has produced numerous other talk shows such as The Tony Danza Show (2004 – 2006), The Rachael Ray Show (2006 – 2011), Big Morning Buzz Live (2011), Big Evening Buzz with Carrie Keagan (2012), The Gossip Table (2013), FABlife (2015) and The Steve Harvey Show (2017). Shane Farley’s work has not been limited to talk shows alone. He has also produced several short films including The Hungry Games (comedy), Carrie v Jason (horror) and A Rooftop Breakup (drama). All three movies were released in 2013. Shane Farley has received several awards in the course of his work. They include the Daytime Emmy Award for outstanding talk show/ entertainment in 2009 and 2008. He also won the Daytime Emmy for an outstanding talk show in 2002 and 2003. Is He Dating Anyone, If Married, Who is The Wife? 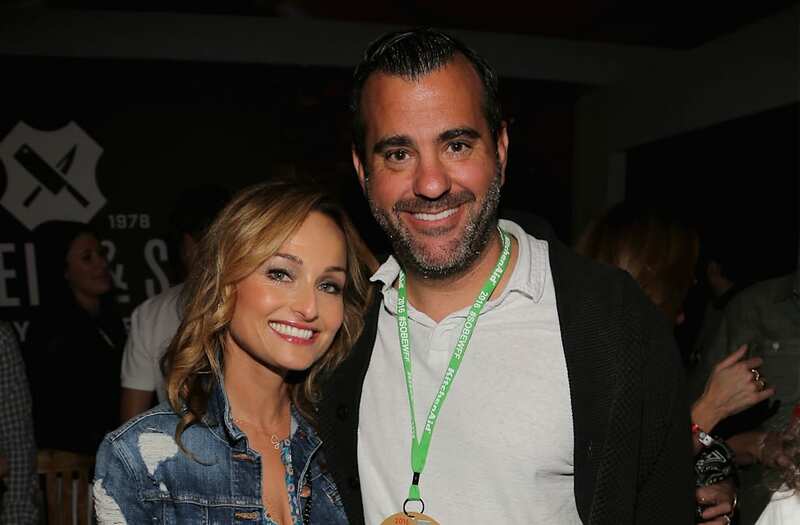 Shane Farley is in a relationship with celebrity chef, Giada De Laurentiis. De Laurentiis is a famous chef, author and TV personality. She is renowned for her expertise in Italian cuisine as well as gorgeous looks and charismatic personality. She has authored several cookbooks and hosted shows on The Food Network. They include Giada at Home, Giada in Paradise and Giada’s Weekend Getaways. De Laurentiis has also appeared on the popular cooking competition Iron Chef. The show pits celebrity chefs against each other. Giada De Laurentiis has received several awards for her outstanding hosting skills. She has also been inducted into the Culinary Hall of Fame. So how did the producer and the chef meet? Shane Farley and De Laurentiis first met in 2013 when he was hired to produce a possible talk show for her. The show failed to see the light of day but they became good friends. Farley and De Laurentiis reconnected when he moved to L.A. in 2015. They commenced a relationship in August/September 2015 and have remained strong since then. There is no talk of marriage for now but if they do get married, it won’t be their first rodeo. Farley was previously married to Jennifer Giamo. Giamo is a personal trainer and they got married in 2000. They were together for 15 years before calling it quits in 2015. Their union did not produce any kids. On her own part, Giade De Laurentiis was previously married to fashion designer Todd Thompson. They got married in 2003 and were together for 11 years. They separated in July 2014 and their divorce was finalised in September 2015. The union produced a daughter named Jade Marie. She was born in March 2008. Shane Farley’s net worth is still under review and as such, is not yet public knowledge. However, it is very likely that he must have accumulated a small fortune from his illustrious career. His girlfriend, on the other hand, has a net worth of $20 million. She is certainly one of the richest chefs in the world. De Laurentiis made her fortune from her books as well as her popular TV shows. Other parts of her business empire include two restaurants in Las Vegas as well as food products and kitchen utensils sold in chain stores. All of these have helped in boosting her bottom line. However, it must be stated that this bottom line took a hit when she divorced her husband. They had no prenup and seeing as she was the richer person in the union, she was required to dole out some serious cash. The divorce payout included $9,000 a month for child support as well as their Pacific Palisades home worth $3.2 million.